December 13, 2012 | By Chrissy | Filed in: Inside Scoop. 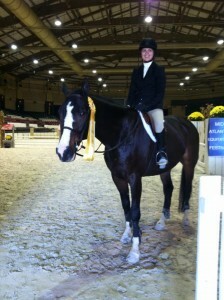 CONGRATULATIONS to Kendall, Emily, and Danielle on an outstanding Mid-Atlantic Equitation Festival! 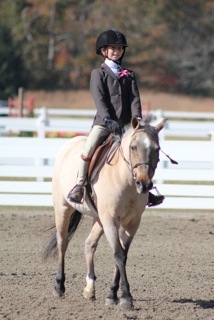 Kendall and Sabotage Z won the Laura Prickett memorial Young Riders Medal Final and a brand new Bruno Delgrange Saddle! 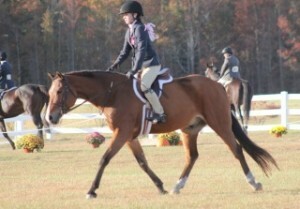 The night before she also won the Medal and Maclay Equitation Classes! 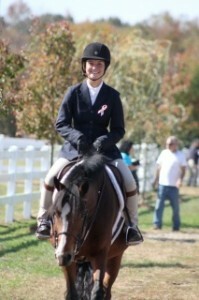 Danielle and Furst Laugh placed 2nd, 3rd, and 8th in the under 15 age group equitation. 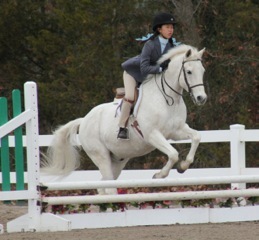 They were the 9th highest score of the day and qualified for the equitation flat final at the end of the day after placing 3rd in there flat class. 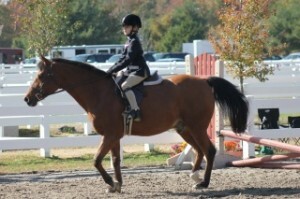 In the equitation flat championship they placed 8th. 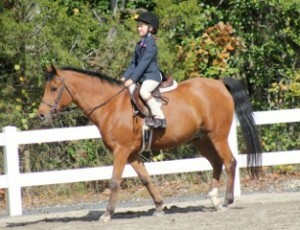 All the videos can be watched on YouTube under the horse’s name at Mid Atlantic Equitation Festival! What a wonderful and memorable weekend! 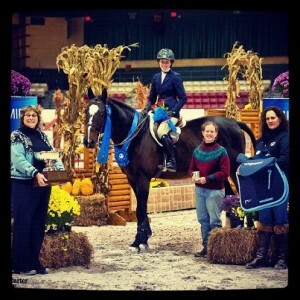 Congratulations to all of our riders who competed at the December 2nd Pembrook Farm Horse Show. What a beautiful day with wonderful horses and ponies! 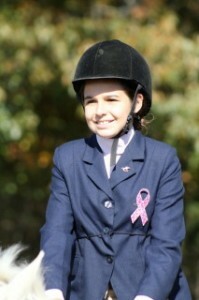 Congratulations to all of our ribbon winners; Devon and Gralix, Tina and The Cowboy, Victoria and Sky’s the Limit, Martha Rose and the Cowboy, Chloe and Sky’s the Limit, Haleigh and Piper Bay, Olivia and Sky’s the Limit, Isabel and Tigger, Sadie and Piper Bay, Tabiltha and Tigger, Shelby and Best in Blue, Emily & Kendall with Wilhelm, Danielle and Furst Laugh, Caitlyn with Jelly Bean and Harvey Davidson, Cristyn and Gingersnap, Emma and Willow, Faith with Puttin On the Ritz and The Great Debate! 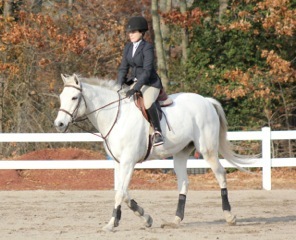 Special Congratulations for our series award champions; Cristyn and Gingersnap in the Children’s Hunter Section, Victoria in the Short Stirrup Equitation, and Sadie in the Beginner Rider Equitation! It was such a fun day! 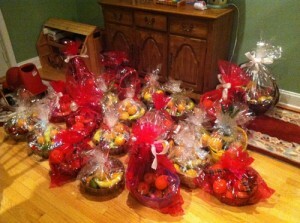 The Thanksgiving Baskets were a huge success again this year! Thanks to all that came and provided fruit and goodies to give to others. 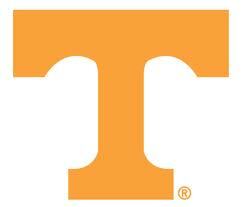 Congratulations to Kendall on signing on with University of Tennessee with an NCAA scholorship. Kendall was on channel 40 news for the signing and the clip can be seen at www.nbc40.net under “high school sports” video from Monday 12-10-12 sports at 11pm. 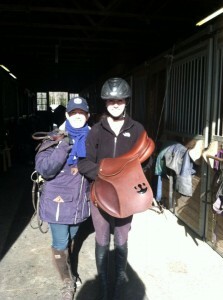 Kendall was also fitted for her new Bruno Del Grande Saddle this week. Way to Go Kendall!! Congratulations to our new partnership of Danielle and Furst Laugh, Faith and The Great Debate, and Izzy and Sadie with Puttin’ On the Ritz! What a very Merry Christmas! Mark Your Calenders for the Pembrook Farm Holiday Party on Sunday December 16th. Party starts at 4pm! Happy New Year to all of our Pembrook Families and here is to a great 2013 of enjoying every second we get to spend with all of the horses and ponies! 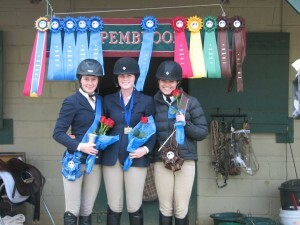 Have Fun and Good Luck to Olivia, Kendall, Devon and Danielle, as they head down to Wellington from January 18 to 20 to participate in the College Preparatory Invitational Horse Show. Find out more information at www.collegeprepinvitational.com. 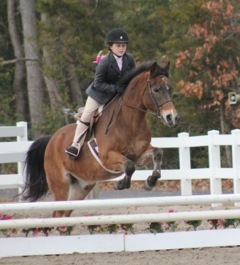 There are plenty of horse shows so check the cork board for the show scheldule and here’s to a warm winter, we hope!